HOUSTON, Feb. 26, 2018 /PRNewswire/ -- Small and marginal farmers from Asia, whose land holdings are below 2 hectares, produce almost 80 percent of the total food. So, it is indisputable that they are important for agricultural growth, food security and economic development in Asia. The situation is not very different across the rest of the developing world. Therefore, the future of sustainable agricultural growth and food security around the world depends on the performance of these small and marginal farmers. UN's World Food Program (WFP) has argued that an innovative approach is desperately needed, because most developing countries are likely to become vulnerable to food shortage due to climate change and its toxic combination of rising temperatures, natural disasters, and erratic rainfall patterns. 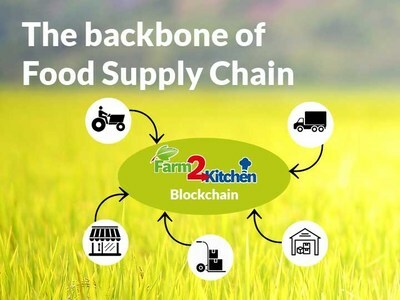 Farm2K Blockchain is the brainchild of a highly proficient team of experts with a wealth of experience in Agriculture, Food Distribution and Technology industries. As per CEO Anand Dholi, the idea is to empower smallholder farmers by providing them the data to plan the crop right, thus improve their revenue, enable them to provide better value to consumers and reduce food wastage due to oversupply." 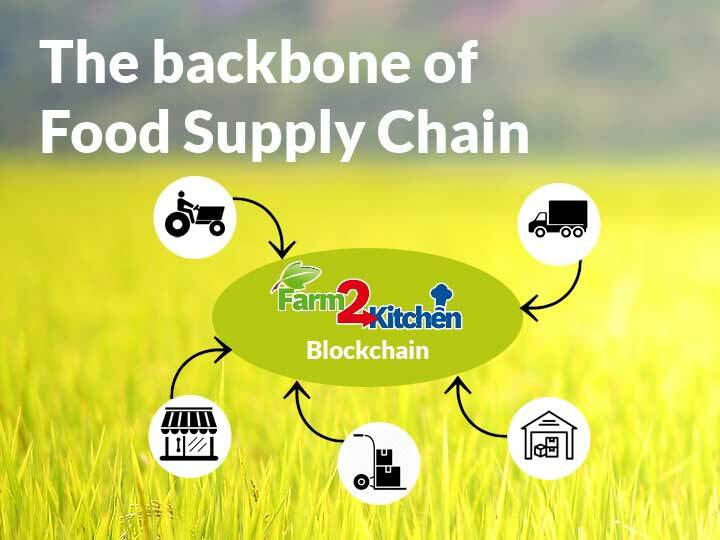 Farm2Kitchen started because of personal need for responsibly grown "divine" food and has now grown to a successful business that has several retail locations across India and growing exponentially. We started out by delivering fresh vegetables and fruits to few local retailers in the suburb of New Delhi, India. The initial success encouraged us to look beyond one city and we expanded our operations in multiple cities across India. In 2017 we started expanding our operations across Asia by building partnerships with related organizations in Saudi Arabia, UAE (Dubai), Laos, Qatar, Oman, and Malaysia.